Did I ever tell you guys that my dad owns a furniture store called The Public Market? 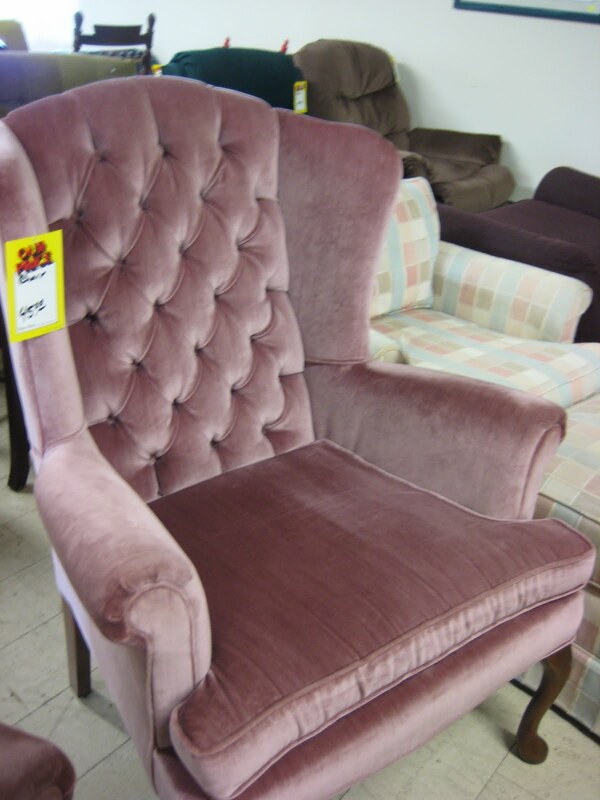 He has a mix of gently used furniture, appliances, as well as some lines of new furniture too. Whenever we visit my parents, I always like to take a little tour and see what he has. I also wish that I could haul half of it home and paint it! 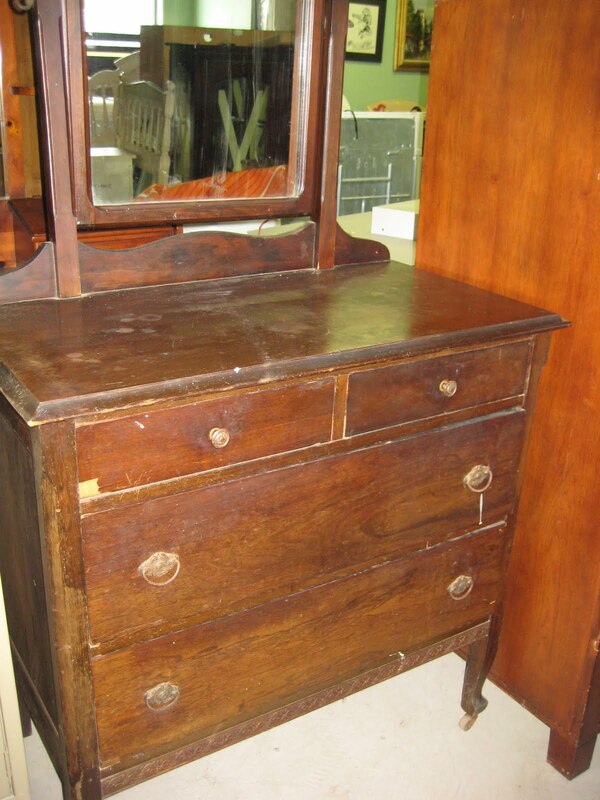 Here's some pieces that he was selling and some inspiration for what they could be. 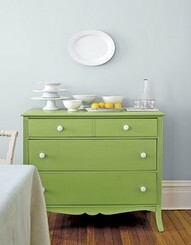 All inspiration items were found on Pintrest. 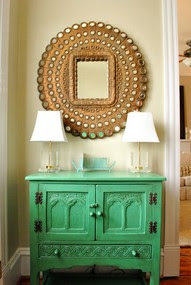 Wouldn't this piece make a fantastic addition to an entry space? Like this? I love these two old dressers and think they would look fantastic in bright colors! 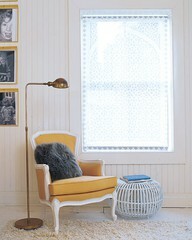 Or what about a chair revamp? These chairs were between $25 and $45 dollars! Even though this red chair was already pretty "farmhousish," I thought it would also look pretty toned down a bit. Here's a couch thing that has sat at the Public Market for a long time! Yes, it's dated! Yes, it's ugly! 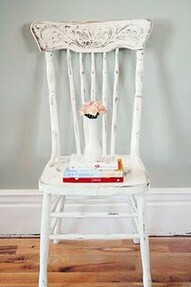 But it could be cute with the wood painted in a lovely color and a little slipcover/upholstery magic! 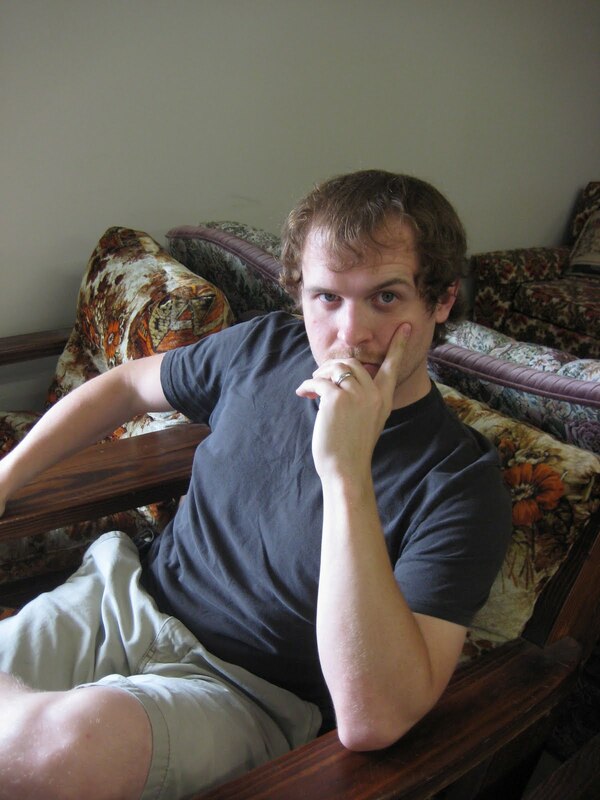 Josh is trying to convince you with "the stare!" Convinced? Well, you'll have to use your imagination for that one because I couldn't find any inspiration photos! There were definitely a lot more pieces that I snapped photos of, but I'll leave you with these. 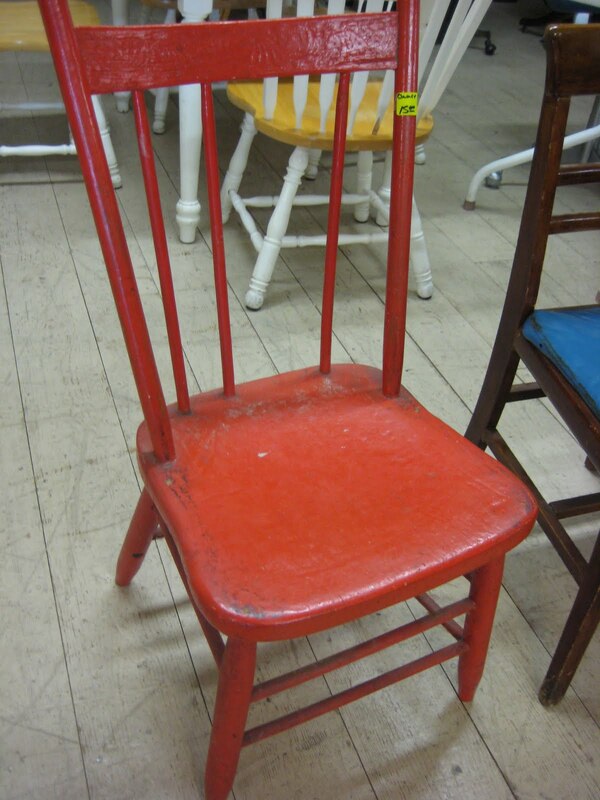 Next time you visit a thrift store or used furniture store, take some time to be inspired! 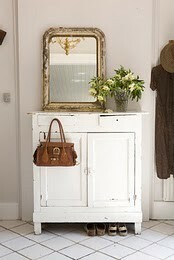 Or haul something home and see what something can become! 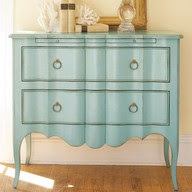 Oooooh, I'd love to my paint on some of the furniture pieces!! :) Thanks for stopping by my blog... it's always fun hearing from others!